In NeuroK you can upload different content: videos (from the platforms enabled: youtube or vimeo), documents (created by you or downloaded from the internet), references (you only have to paste the url) or create your own entry as if it were a post of a blog. Reviewed by some fellow. In that case the comment gets two points. Valued, the partner who values you will have to decide how many scrolls you are going to give. From 1 to 5 may be the valuation. This assessment gives that student points and you too. The points range from -2 to +2. Remember that you can also remove points. Recommended by a teacher, and therefore saved in the Library. Participating in a course can be done in several ways: comment on a teacher’s or classmate’s content. You can rate the contribution by rewarding or subtracting points, but you will have to give a reason why. You can also contribute content by uploading links to videos, references, blog posts or sharing your own documents, pdf, images, etc. Note: in NeuroK the important thing is to learn by doing, sharing, debating and correcting. It will be the teacher who puts criteria in this debate and in the content provided. And remember that all relevant contents are stored in the Library. Start participating by making a new comment, adding new content or following the thread of a conversation. Give your opinion: This is as if you were writing an entry to a blog post, you can add images and edit texts which will be displayed as if it were a new post entry. Commented by a classmate. In that case the comment receives two points. Rating: The classmate that rates ​​your content will have to decide how many stars you will give from 1 to 5. When you rate fellow students you are given points as well. The points range from -2 to +2. Remember that you can also remove points. Content recommended by a teacher will be stored in the Library and for which you will receive 10 points. You can comment on any content of any classmate, you just have to answer within the timeline of that content, from the start page of the course or in the timeline of each Learning Unit. Each time you make a comment you will receive a point in your course statistics. Rating or debating in NeuroK is a more reflective contribution. When you give your opinion on content contributed by anouther user, we are going to ask you to rate it ​​with “stars” and also to leave your reasoning in a more extensive way. Note: Giving stars can add or subtract points to the person who has shared the content. You are only going to score points in the statistics. You can rate any content of any classmate, just click on the “Rate” star. Then mark the value that the content has for you by giving it stars and leave your argument about that content. You can do this from the timeline of every Learning Unit. Ratings can not only subtract points from a fellow student, but also add more points to your statistics for the effort and reflection of leaving an argument. Each assessment you make adds 20 points to your course statistics. Stars have positive and negative values. These points apply to the person who has uploaded the content, not the one who rates ​​it. You can ask us for a new account, or because another Admin has invited you to the account. Can I invite other Administrators to my account? Yes. You can invite as many Admin to your account as you need. From your Administration screen just click on “Invite Admins”. What does an Account Admin manage? The Account Manager manages all the aspects that have to do with the profile account as well as the administrative part: creation of courses, invitation to teachers and students, delete members, or is responsible for payments for the use of the platform. As the Admin of the account you can give the appearance you want or remember your organization. The logo and colors will appear (typography, background color and notifications). These changes affect all courses in your account. Colors can not be changed per course. For this you would have to create a new account. Admin is in charge of the payment of the courses with NeuroK. NeuroK will charge the Admin 9 € (VAT not included) per user per course, with the Standard plan. The payment you can make from your profile of Administrator choosing either Paypal or payment by credit card. In case of other type of hiring this price will be susceptible to changes. NeuroK does not handle or manage the collection that the Admin makes to its users. As well as not being responsible for the changes that the Admin makes in the collection and price of the course to its users. How do I charge my users? NeuroK does not manage the collection that the administrator does to its users. In other words, how much and how the Administrator charges teachers or students for enrollment in a course is the administrator’s own decision. Nor is it responsible for the changes that an Admin can make in the collection and price of the course. Currently in NeuroK you can hire an account with free registration. We charge you € 9 (VAT not included) per user per course. You can also create a “free course”. A free course is a public course, that is, acces to the whole world. If you don´t make money we don´t either. At NeuroK we call public and free courses to courses where participation is free and public. That is, an open course, where users do not pay for their participation, and NeuroK does not charge the administrator for having hosted that course on the platform. You can create as many free courses as you need. The administrator of the account, is the one who decides if he makes a course public or not. For this in your administration panel you will find a “check” to make the course open and free, or closed and paid. Users access the course either by requesting access from the registration tab of the course, or because a direct link to the course has arrived. The Admin creates the course, and is responsible for registering the course teachers. To register teachers is done by sending an invitation. The Admin has an invitation manager: when they have been sent, to whom, which have been accepted and if you want to forward a pending. The Admin creates the course, and is responsible for registering the students of the course. To “register” students is done by sending an invitation. The Admin has an invitation manager: when they have been sent, to whom, which have been accepted and if you want to forward a pending. The Admin of an account creates the courses. That is, it is the one that discharges the course. The content of the course and publication of Units and Activities is the responsibility of the role of teacher in the platform. From your course management page you will name the course, brief description, video (optional), start and end dates and long description. With all this information a landing is created, so you can hang on a web or blog and help publicize the course. At any time you can modify any aspect of the course. A course can be open indefinitely, allowing users to enter at any time. Until the course begins the students can not participate. But teachers can start creating content: library, Units and Activities. The end date closes the course. But its users will be able to enter to visit whenever they want and to download contents, but they will no longer be able to comment, nor to upload more contents, nor to make deliveries of Activities, nor to argue or to value. What if the course is finished? A finished Course remains visible to its users, so they can visit it. But they will no longer be able to participate or upload content. You can download content. But neither comment nor make favorites nor argue. They will not be able to upload or evaluate Learning Activities. The Admin can reopen the access by changing the end date of the course. What video can I upload about the course? As an Admin of an account, when you are creating a course, and you begin to make the description, dates of the course, etc. You can put a video of help, either describe the course or motivational or presentation. Our advice is to upload a short video explaining the advantages of the course. If you do not have your own, surely on the internet you find one that serves as a motivation. When should I invite teachers and students? The invitation to teachers and students can be made at any time since the course is created. Our advice, when creating the course, invites teachers first, so they can start uploading content to the Library and create a Learning or Activity Unit. And once published at least a “Welcome” Unit invites the students. NeuroK does not help you in advertising a payment course. If we have created a landing with the basic information of the course description, and it is the Admin who can make use of this landing for its publicity and publication and diffusion in social networks. My course: private or public? By default the courses in NeuroK are private. Now, when an Account Administrator creates a course, you can choose to have the course private, only for paying users. The free. A free course is a public course. Where there is no charge for participating. Anyone can see the contents and comments of the course, but participation is restricted. To participate in free course the user must request to enter. The Admin has the right to remove or delete the users you want from a course. From the Administration of your account you can duplicate a course that you already have created. Name of course, remember you can edit and change it. The Learning Units, with the contents of the Library. But they will not appear until you publish the Unit again. Learning Activities, with your criteria. But they will not appear until you publish the Activity again. There will be no duplication of users, whether teachers or students, not content or comments published in the timeline. What is a NeuroK account? In NeuroK we call account to the grouping of courses. An account can have one or more administrators. And they are the ones who manage and create the courses, the ones in charge of registering teachers and students. From an account is managed the payment of the course that has registered an administrator. Each account can be personalized with logos and colors of your company, organization, school, academy or your own. The invitations to a course is the way that the Admin has control of the users that form it. As Admin has the option to invite teachers or students, see which have been accepted and forward the pending acceptance. At NeuroK our public and free course are courses where participation is completely free and open to the public. This means that it is an open course, where users do not pay for their participation and NeuroK does not charge the administrator for having hosted that course on the platform. The administrator of the account is the one who decides whether to take part in a public course or not. For this reason, in your administration panel you will find a “check” to make the course public and free, or closed with a fee. Users access the course either by requesting access from the registration tab of the course, or because htey have been provided with a direct link to the course. Download this infographic about public courses: click here. Now we also integrate Telegram in NeuroK so that you receive on your smartphone everything that is happening in the courses that you are. You are already inside NeuroK bot. Remember that if you do not want to receive notifications of NeuroK in your smartphone you can leave the Bot or modify it in Manage Notifications in your profile. How do I evaluate an Activity? Enter the Learning Activity and select “Gradients to Evaluate”. You will see an anonymous list of Activities delivered, choose one or all and you can correct it. Then go to the “Evaluated” tab. How do I become a student of a course? To be a student of a private course or payment, you have to contact the administrator or the teacher of the course. Only the administrator can invite the students to enter a course. What is NeuroK’s relationship with the student? NeuroK is a platform that focuses on the student. The teacher and the contents are not the main thing. As an online training platform, it provides students with easy-to-use tools that remind them of Social Networks, and makes it easier for them to create their own learning network. Whoever invites a student to the course is the administrator of the account. And this is the one who will take charge of the student’s collections. It is the teacher who publishes the Units and Activities, which helps the student not to lose the criterion in the debate, and the one that marks what contents are the relevant ones. 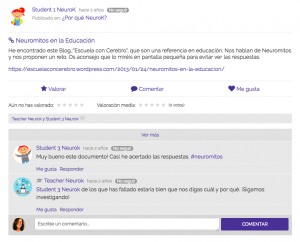 The student at NeuroK is in charge of asking the questions, collaborating with other colleagues, searching for answers, contributing content found on the internet and doing peer evaluations, contributing their assessment according to the criteria previously set by the teacher. NeuroK is not responsible for the content or development of a course. The Administrator of an account (who can be a teacher or not) is the one who invites the teacher to participate in a course. The selection, hiring and payment to the teacher is by the Account Administrator, and NeuroK does not intervene in any of these processes. How do I participate in a Learning Unit? Each Learning Unit has a timeline of discussion. In this timeline is where collaborative learning takes place, where videos, references, documents or opinions are uploaded. Remember that every content or comment you make can also be recommended by the teacher or recommended by your classmates. NeuroK looks like a social network and works in some aspects like some of them: the latest published will see at the top of the home page or in each timeline. You can also decide who you follow or not in the course, this way you can create your own learning network, as you have the option to see the contributions of those who follow, that you are interested. But at any time you have the option to see “everything” published. Start by participating with a new comment, new content or following the thread of a conversation. When a student or teacher uploads content, you can rate this content. “Rate” means that you can give or subtract points to that contribution, but you will have to argue it. You can score a star, two three, four or five. And the value of each star goes from less to more. One ball, you subtract 2 points from your partner. Two ball, subtract 1 point. Three balls, neither give nor take away points. Four balls, you give your partner 1 point. Five balls, give him 2 points. You can comment on the timeline of any Learning Unit. Commenting on content from another student or teacher adds 2 points. But if you decide to argue a content, this gives you more points. In addition the person who receives your argument can receive or lose points according to your assessment. You have to score from 1 to 5 balls, and these balls from -2 to +2 points for the one who receives the comment. Remember, every comment in the debates always adds. How I participate in a Learning Activity? Learning Activities are created by the course teacher. They have a deadline and another deadline for evaluation. It is also the teacher who will decide if it is a peer evaluation, and if it is a group activity. To participate in the activity you have to go to Learning Activities and select the activity that you have left to deliver. Within each Activity you have a Timeline of Doubts, shared by all, and “My Deliveries”, where you must make the delivery and follow the evaluation criteria. If it is a peer evaluation, you will also see the Evaluated tabs (the activities you have evaluated) and Pending Evaluations (the activities you have not yet corrected). And if the delivery is a group, with which a member of the group delivers, the activity is given by everyone. This system of evaluation is made among equals, among those attending a course. You will have to evaluate other peers and other peers will evaluate you. This assessment is based on criteria that the teacher will give you and you must follow. In Pending Evaluations comes a random and anonymous list of colleagues that you can evaluate. In addition, the teacher will decide how many peers, at least, you have to evaluate. In the “Activity”, if it is a peer evaluation, you have the My deliveries tab. You can see how your colleagues evaluated you. And if the teacher decides, you can make more deliveries to improve. You can have an anonymous list of “Pending Evaluation” deliveries from your peers. You will have to correct the minimum that the teacher marks. For example, you will have to correct a minimum of two jobs for your delivery to go to the list of “Pending Evaluation”. The teacher can mark that an “Activity” has to work in a group, it will create the working groups. Any delivery of an activity by any member supposes the delivery of the “Activity” on behalf of the whole group. The activity score will be the same for the whole group. If you want to change the group name or change groups you have to contact the teacher. The evaluation criteria of a “Learning Activity” are set by the teacher. These criteria are those that students should follow when evaluating an activity. The evaluation criteria have a value weighted by the teacher. Mention a participant individualñy or mention all in a conversation. With the mention you ensure that the person mentioned receives a notification. Or use @all to ensure everybody recieves a notification. With each contribution you make on your course, either a content or a comment, you can use tags or hashtags to organize content by topic. If you label a content, you can then search for other content tagged with the same hashtag which has been uploaded by other users. You only have to click on that hashtag and you will get related results. The hashtags are listed in the description of each unit or each content. Just one click to find all the info you are looking for on a topic. Remember to use the # symbol before each word, and without spaces in between. It’s really that easy to label content. Students can find all the course material both in the Library and in the Recommended tab. 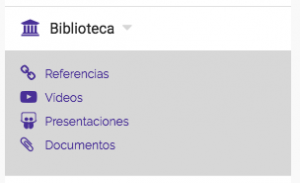 The contents uploaded by the teacher, or the contents that you have recommended from another user, are stored in the Library and they are grouped by type of content. The library is accessed from the menu on the left, within any course. The contents recommended by the teacher or uploaded by another participant of the course are grouped in the recommended area. This area is specific to each Unit, serves as a summary of all the important content of the Unit. It is accessed from each Unit. Now you can sort the timeline view at the start of the timeline of each Learning Unit, by order of publication of an uploaded content or by the latest content to be commented or rated. Trend: Order the timeline with the recent activity. The latest published: Commented or rated. Most recent: Order the timeline with the last published content, whether or not it has had recently activity. I am a student and I share a content that is video A. The teacher has shared a reference B. How are the trend results displayed? The order is B and then A. How are the + Recent results displayed? The order is A and then B. What is the relationship between NeuroK and the teacher? NeuroK does not intervene in the teacher selection processes of a course. We can help you with the practical issues of the platform and solve technical doubts or failures. The content and motivation of the course is completely up to the teacher. The Administrator of an account (teacher or not) is the one who invites the teacher to participate in a course. The selection, hiring and payment of the teacher is by the Account Administrator. NeuroK does not intervene in any of these processes. To invite a participant to a course, you just need your email. But the invitation and user management is done by the administrator. As a teacher in the tab Manage Course > Follow-up of students, you have the student list of your course, with statistical data that can help you manage your course and know which students participate more actively and in which areas. You can also download the student activity information in an excel sheet. How do I manage my course? As a teacher, it is you (and all other teachers) who is in charge of the creation and publication of Learning Units and to Create the Activities that are linked to the learning, as well as to upload content to the Library and track students. The teacher is the dynamizer of the debate, you do not have to contribute all of the content, you only have to contribute your criteria. The teacher must let the students ask themselves questions and guide them in their learning. Searching the internet and finding documentation on a subject is within everyone’s reach, but not all of us will find the right content. That is where the course teacher can contribute his or her knowledge and experience to help with the learning process. How do I create a Learning Unit? From the menu on the left, the “Course Management” tab is where you can create the Learning Unit. If the Unit is linked to a video you must upload it first to the Library. The Unit must be given a title and description. You must then relate it to the content uploaded in the Library and also relate it to a Learning Unit. You can publish it there and then, or leave it for a later scheduled date of publication. Can I participate in a Learning Activity? Yes. As a teacher, you can participate in any of the Learning Activities you have created. You can actively contribute to the course and be evaluated by the rest of the participants. The Library compiles all the contents that are important for the course. Whether it’s created by the teacher and uploaded to a Learning Unit or recommended content uploaded by a student. How do I publish a Learning Unit? Once the Learning Unit has been created, you can edit and modify it at any time, even when it is already published. To post a Learning Unit, you just need to activate the “speaker” icon. How do I post a Learning Activity? Once the Learning Activity is created, you can edit and modify it at any time, even when it is already published. To post a Learning Activity, you just need to activate the “speaker” icon. Peer evaluation is an evaluation among course members. In “Pending Evaluation” will see a list of Activities given by other partners and will have to evaluate one or several as marked by the teacher in the description of the Activity. Group Activities: How do I create them? As a teacher, first create the Learning Activity, its description, delivery dates and evaluation dates, evaluation criteria, and check the Type of delivery: group option. The platform automatically generates groups and their members. Then edit the Activity, you can change all the options you need, such as renaming groups or moving their members. Can I edit the name of a Group? The teacher can edit the name of a group and who makes it. Course Management>> Learning Activities >> click on the Group icon. Now you can edit the characteristics of the groups. Can I assign or move members from group to group? Yes, you can move members from group to group. The first time you create the Group Activity, NeuroK creates groups randomly. Then you can change them and rename them if you need them. Just click and drag the group name to group. Who does the delivery of the Group Activity? In Group Activities, any member who submits an Activity will give up the activity on behalf of the whole group. That delivery will be evaluated and the scores will be for all members equally. The points are not dealt. The evaluation criteria of a Learning Activity are set by the teacher. The statistics and follow-up of students is a tool to help the teacher, both to know the evolution of the course, and to help the students more off-hook to resume the pace of the course. The statistics that NeuroK shows will help you not only to know in which more each participant participates: how much participates in points, what contents publishes, the delivery of activities and what evaluation has received. Who follows in the course and who follows him. With all this data you can know the student’s use in a course. He does not participate, but his activities are very well evaluated. You will also be able to see if a student has become an “influencer” of a course, by the companions that follow. As a teacher you can export the data of the course, in case you want to complete it with data of attendance or other deliveries. At NeuroK, every participation counts. And to motivate and play within a course students have different points for each action they do within a Learning Unit or for the delivery of a Learning Activity. For example, it is not the same to comment, that it can be a message of encouragement or a question, to evaluate, that entails an argumentation of your answer. 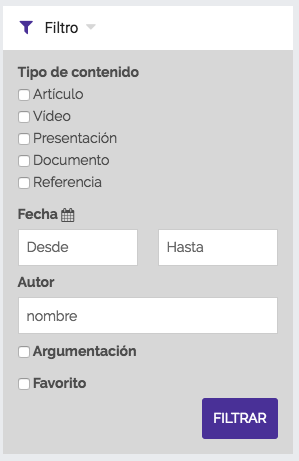 You can participate by uploading content, either video, reference, document or create your own article. The comments of your classmates can receive “like” or be recommended by the teacher, and everything is reflected in your statistics. Check your progress in the course and your participation, and check how the other classmates are going. In addition, for teachers, it serves as a tracking tool for students, to motivate them, help them and guide them in the course. Deliver a Learning Activity: 20 points. Post new content: 20 points. Evaluate the delivery of another partner: 15 points. Evaluate and argue a content: 15 points. The teacher recommends the content of a user: 10 points. One partner marks the content of another as a favorite: 1 points. Comment a content: 2 point. A user values ​​and argues my content: between -2 and 2 points according to the evaluation. A tag cloud (word cloud, or weighted list in visual design) is a visual representation of text data, typically used to depict keyword metadata (tags)on websites, or to visualize free form text. (Wikipedia). At NeuroK we have created Tag Cloud as a tool for analyzing and measuring the participation and debates that are generated in a course. It is a tool that helps the management of the course by a teacher. Only visible and editable by course teachers. Know if the topic is being diverted, or if the users are speaking properly about the proposed topics, which are taking advantage of the course and sharing knowledge of quality. In NeuroK the teacher will be able to manage the word cloud of your courses. Use analytical data to help you streamline your course in the ideal direction. How do I manage Tag Cloud? From managing a course, the teacher can see the word cloud that is automatically generated. Complete course or by Learning Units. All users or only teacher or only students or per student. For all relevant words, or the top 10 or 25. With these data, the teacher of a course can quickly see the debate that is in its course, whether the users are focused on the subject, or not. If they are sharing collaborative knowledge and are well focused, it will mean that they are making optimal use of the course, and that therefore the teacher is providing the necessary criteria. Or if the different debates are being diverted from the subject of the course, the teacher can make the necessary decision to re-focus the subject. Or you may find that the users themselves are actually generating new questions and debates that should be considered. Can I create my own Tag Cloud? In addition to analyzing the most used words, you can create your own Tag Cloud, with the words that you think should be mentioned more in your course. When creating the generic cloud comparison and your own, you can see the deviation or the approximation that there are to the themes that you propose. NeuroK gives you the list of the most used words in the course, so you can select the one you want, or you can add new words to create your own analytic. NeuroK is an elearning platform, which uses the principles of neuroscience applied to education: neurodidactic. A platform with a social network aspect that focuses on the student, encouraging motivation, collaborative learning and the emotion to learn. Neuroscience begins to explain how the brain works, and with that knowledge applied to education we must redesign the learning processes taking advantage of the digital revolution. Today the ubiquity of mobile phones and Internet access makes learning possible online. Anytime from anywhere. You learn best in a group, sharing. From the debate arise the questions, the curiosity, the challenge of finding the answer makes us search the Internet for the answer. In social networks we collaborate among hundreds of us to achieve what we propose. We are able to learn in community, where learning from equals gives us the fear of making mistakes. From all these ideas arises the need to create a platform that is close to the change in education, and that is why NeuroK arises. When requesting access to NeuroK, what you are requesting is to create an account. This account is your school, your academy, your school, and in it you will create the courses that you want. Only the administrators of the accounts can create courses, invite teachers to it and the students who will compose it. Therefore, access to these courses is only done by invitation via email. Thus the Admin can take a control of users. The account owner also decides the cost of the course for the users. The payment made by NeuroK to the Admin is per user discharged per course. That is, a user user@xample.com can be enrolled in three courses. NeuroK charges the Admin for each discharge in each course per month. Neurodidactics is a new discipline that defines new methods to empower the learning, in the way that better fits in the development of the brain. So it joins brain research and educational sciences (neurobiology and didactics). Now we know that any learning process is accompanied by a change in the brain plus a modification of our neuronal networks. The one who knows how and the better conditions the brain gets modified when learning is the one who can teach better. 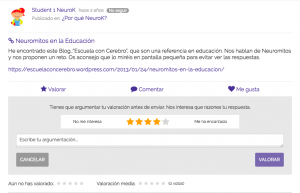 How does NeuroK make use of neurodidactics? We realized that existing training platforms were not useful, because what they did were to copy the classical teaching model to the web: a teacher records himself on video or upload slides, and put them up in the platform, or offers some exercises, check and point them, and that´s all the process. May I use NeuroK from any device? Yes, of course. NeuroK is an application implemented by ASPgems that only needs a navigator. NeuroK is a responsive application, meaning that it fits your display, no matter if it is a tablet, smartphone or laptop. Request your account during the free trial period. If you want to access a course, you have to contact the Account Administrator or the teacher to send an invitation to your email. What type of plan can I hire? In NeuroK we have a standard plan: € 9.95 per user per course. If you are an organization or you have a specific need contact us because with the Premium plan you will get many advantages. Free Trial: Sign in for free at NeuroK, create your free account and try for 15 days to create a course or participate in the demo course “How to use Neurok“. Standard Plan: NeuroK charges account managers € 9.95 per user for each course. What admin covers for these users is admin decision. We can help you if you are a user of the platform and need help or have questions about how to share and learn in NeuroK. FAQs for admin. From the management of your account to the creation of a course or how to invite participants to it. FAQs for teachers. From the management of the course and its motivation, to the creation of units and learning activities. FAQs for students. How to participate and discuss in the units, how to deliver and evaluate learning activities. What roles are there in NeuroK? There are three roles a user can carry out with an only email address . You can be Account Administrator. It is the manager of the account, produces the courses and invites teachers and students to participate. A Teacher, who gets to the course through an invitation. It is the contents supplier, producer of Units and Activities , it does the tracking and counselling of the student. And at last, but no least, the Student, who is invited by the Administrator. 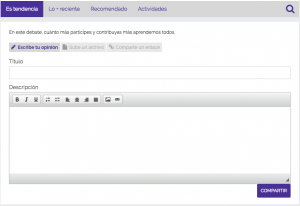 It participates in the course, providing contents discussing about the Units and Activities in their timelines. To unsubscribe from a course as a teacher or as a student, you have to contact the administrator of the account and request the withdrawal. If you are an Administrator and want to request the cancellation of your account, you can request from your administrator page, in “Status” clicking Cancel. In brief the support team will contact you for account cancellation. As a student of a course, when you decide who to follow, you are creating your own learning network, a community of people, who for your content or comments seem interesting. With this option you can make a comment filter, because you will see the conversations and debates of the social filter that you have chosen. The home page shows the contents of the people you follow, so you are already doing a content cure. Also at any time you can choose to see all the comments of all. You are deciding which people are the ones who bring you the most in the course, and what contents are the ones you prefer to read. If you want to know what is happening, you can always click on “All” and it will show you everything that has been said by all users of the course. Tip: Decide who you follow and who you do not in the course, and create your own learning network. When you went to class, you knew who to ask for notes and who to ask for help or advice. NeuroK is the same, filter your contacts and decide who you want to follow. From the menu on the left, the PARTICIPANTS tab or by clicking next to the name “Do not follow” you can change the option. Become an influencer of your course. It contributes quality content, makes assessments with arguments, helps your colleagues, promotes participation, asks, plays, learns. NeuroK notifies users of all important actions that occur in each course. These notifications are received via email, or are notified on the platform itself on the icon “bell”, or via Telegram. You can configure these notifications from the top-right menu. These are the actions you can decide to remove from your notifications. If you have not been able to enter the course for a while and you want to see what happened the day you last entered, you can use the “Travel back in time” button. NOTE: During this trip, you can not participate in the debates. You should exit the trip to the past and return to the current date to be able to make a comment. Search within each course, by words, by hashtag, name, participants or content, by clicking on the search icon or the filter button. In NeuroK you can see your evolution in a course according to its statistics. The statistics reflect your participation in the course, not only in the discussion of each learning unit but also in the learning activities, their delivery and assessment by another user. The platform grants a series of points according to the participation. The only values ​​that the teacher can predetermine are the values ​​of the evaluation criteria of the learning activities. With these values, the platform performs an algorithm with which it obtains the percentage score of a student’s Learning Activity, and its average with respect to the rest of the course. Knowing your statistics and those of your colleagues can help you to know at what moment you have become stuck in the course, or in which unit you have been participating more actively. In addition, teachers can see these global statistics to help the course, motivating participation, creating new units, posing more continuous challenges or slowing the pace of the course if that helps the majority. With NeuroK the important thing is participation. For that reason, for each action that you carry out or is carried out within your content or that of yur classmates, some points will be added to your statistics of the course. Assess and debate a content: 15 points. (You will see that you can grant from 1 to 5 stars and you must also argue why you give that rating). One partner marks the content of another as a favorite: 1 point. Comment a content: 2 points. NOTE: these points are generic to the platform. The only points that the teacher creates are the values ​​of the answers to the evaluation criteria. That is, the teacher decides in question A, answer 1 is worth 5, 10, 100 points, answer 2 is worth 10, 20, 30, and so on. To access NeuroK you must send us an email from the contact form. Request your account by filling in the contact form. If you want to access a course, because you are a student or a professor, you have to contact the Administrator of the account or the teacher to send an invitation to your email. I have not received the email or invitation link to the course: Make sure the email and invitation is not in another folder of your mail server. Contact the course administrator to find out if you have already received the invitations to the course, or to have it sent back to you. I created an account and now when I access the course it tells me that I can not. Check that if you have a NeuroK account open and receive an invitation to a course, you are using the same email. Remember to close each NeuroK session, from your user profile. The invitation email does not work: I have received an invitation email or an access URL and it does not work or it takes me an error page, please write to support@neurok.es and add a screenshot of the error page or the link that gives error. I am already a user but I do not remember my password. You have the option to create a new password if you click on Have you forgotten your password? What type of plan can i subscribe to? In Neurok we have a standard plan: € 9 per user, per course. If you are an organization or have a specific need, please contact us because with the Premium Plan you will receive many advantages. Standard Plan. Neurok charges the administrators of the account € 9.95 for each user per course. What the admin charges to these users is the admin’s decision. Free Course. We will help you create a public course. A public course is a course open to everyone and is free. For the creator of the course and for the users. Here is this infographic with more information: Download now.